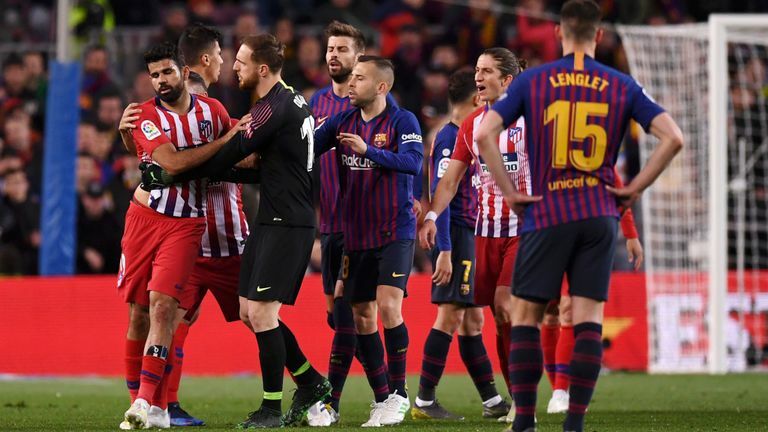 Atletico Madrid forward Diego Costa has been banned for eight matches by the Spanish Football Federation after verbally abusing the referee during Saturday's defeat to Barcelona. Costa was shown the red card for for insulting referee Gil Manzano after 28 minutes of Atletico's trip to Barcelona. The former Chelsea forward repeatedly insulted the official's mother, for which he was given a four-match ban. A further four matches were added to the ban because Costa grabbed the official's hand to prevent him from showing yellow cards to his team-mates.